As the West German Lung Centre the Ruhrlandklinik is one of the leading hospitals for surgical and drug treatment of all respiratory organ disease. 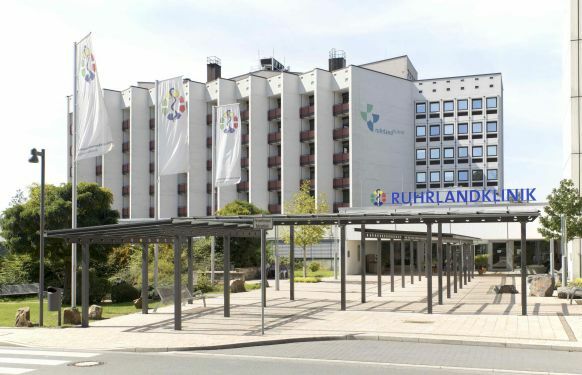 Focusing on cutting-edge medicine, Ruhrlandklinik’s specialists cooperate on an interdisciplinary basis with many other specialists and specialist centres at Universitätsklinikum Essen. The Thoracic Surgery and Thoracic Endoscopy dept. is the largest and most important in Germany with over 2,300 procedures a year. The cases with inpatient treatment are supplemented by a further 2,000 outpatient presentations. Prof. Dr Clemens Aigner and his team perform 1,300 open thoracic procedures and at least 1,000 minimally invasive endoscopic and robot-assisted procedures a year. The department has 85 beds, four operating theatres and nine intensive-care beds. The use of three bronchoscopy theatres is shared with Interventional Bronchology (run by: Dr. Kaid Darwiche) The experienced specialists use all the established modern procedures for screening, diagnostics and surgical therapy of thoracic organ disease. An expanding range of operations is also being offered with "DaVinci” surgery robots. This makes thoracic surgery at Universitätsmedizin Essen currently the only nationwide thorax-surgery department with its own constantly available surgery robot, and puts it in third place in Europe. The hospital also forms part of the West German Robotic Surgery Centre and trains both internal and external physicians in using surgery robotics. With their treatment options Prof. Aigner’s team encompasses the full range of pulmonary disease extending from every type of tumour surgery through lung emphysemas to removal of malformations. 80 percent involves surgery related to treating malignant tumours. Lung cancer and metastases are the biggest areas the surgeons are deployed in. Intensive networking with the Oncology and Radiotherapy depts. of Universitätsklinikum Essen and being part of the Lung Cancer Centre at the West German Tumour Centre allows all the most modern combination therapies to be offered for optimum tumour treatment. As part of the European network for treating rare thoracic tumours a key focus is on comprehensive treatment for pleural mesotheliomas, thymus tumours and the lung metastases of extrathoracic tumour disorders. Complex surgery on the tracheobronchial system and on functionally restricted patients can be performed aided by extracorporeal membrane oxygenation. This is equally used in treating acute lung failure. In addition, the Clinic for Thorax Surgery and Thoracic Endoscopy also forms part of the West German Centre for Lung Transplants. Lung transplant is therefore a further focus of the work of Prof. Aigner and his team. The centre performs the transplants through interdisciplinary cooperation with Ruhrlandklinik’s Clinic for Pneumology and Universitätsklinikum Essen’s Thoracic Organ Transplant dept.. There is particularly close cooperation between Prof. Dr Clemens Aigner and Prof. Dr Christian Taube, Director of the Clinic for Pneumology. 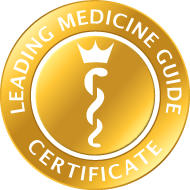 The two specialists discuss all the patient cases on a daily basis.